Market-based programming (MBP) and cash and voucher assistance (CVA) are becoming a central aspect of the humanitarian response, including for the WASH sector. 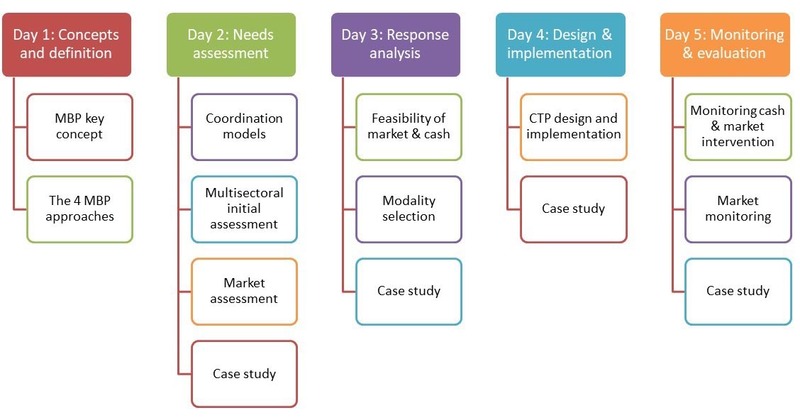 To accompany WASH partners in this transition, the Global WASH Cluster with support of the German WASH Network has released a positioning paper on cash and market, and set up a technical working group (TWIG) at global level to provide expertise and guidelines on Market and Cash for WASH. The GWC has also identified weaknesses among WASH practitioners in terms of both knowledge and practices of the market and cash intervention modalities. Consequently, the GWC has included MBP and CVA as one of the priority topics in its capacity building strategy. Although strong training packages on cash transfer have been already by the Cash learning project (CaLP) and humanitarian organization, these trainings remain largely multi-sectorial, rarely address market support as well as CVA. To address this gap, the GWC has developed a specific training designed for WASH practitioners, inspired from CaLP’s Core Cash Transfer Programming for Programme Staff training. Build the capacity of WASH practitioners and sector coordinators to evaluate the relevancy and use of market-based approaches (including CVA) to achieve WASH outcomes. The German WASH Network has decided to support the implementation of the training with kind support of the Federal Foreign Office of Germany. 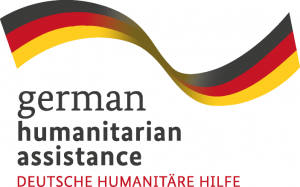 The German Toilet Organization will organize and co-facilitate the two upcoming trainings in South-East Asia and Europe. 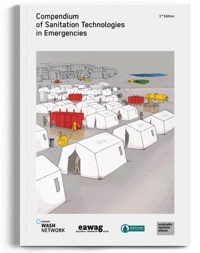 The MBP for WASH in Emergencies Training is a 5 days residential training. It is preceded by a compulsory 1 day pre-course module, including e-learning, pre-reading and knowledge evaluation. The training material were developed by the GWC Technical Working Group on “Cash and Markets” in 2018, and piloted a first time in Nairobi in Nov 2018. After a first day focusing on market and cash concepts, the training explore the delivery of humanitarian WASH programming through market and cash modalities for each Humanitarian Program Cycle phase. Once selected, participants will be asked to confirm their participation within one week. Once participation is confirmed, an official invitation letter will be sent by UNICEF Eastern Asia and Pacific Regional office. This training event is funded by the German Federal Foreign Office and the German WASH Network (GWN). The training will be organized in the PMI (Indonesian Red cross) training center in Bandung, Indonesia. Participants will be accommodated in the training center. Participants’ transfer from airport to training center, accommodation and food related cost during the whole training are covered by the German Federal Foreign Office and the GWN. Any other cost have to be covered by participant, including visa and plane ticket until Bandung. Some plane tickets can be subsidized by the GWN, based on request made by participant during the online application, with priority given to regional and local organizations and governmental officials.